„A bright fireball appeared over Aiquile, Cochabamba district of Bolivia, on 20 November 2016, 17:57 local time (UTC-4). Stones fell in a strewn field of at least 12 × 2 km (northeasterly direction) in the following Aiquile communities: Tablamayu, Panamá, Chawar Mayu, Chaqo K’asa, Barbechos and Cruz Loma. 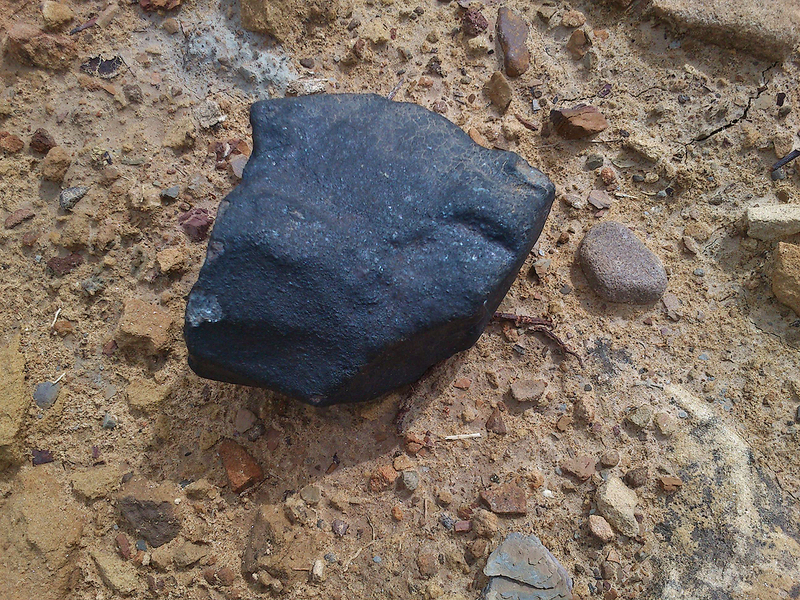 The main bolide fragmentation occurred over the Tablamayu community, 12 km north of Aiquile. 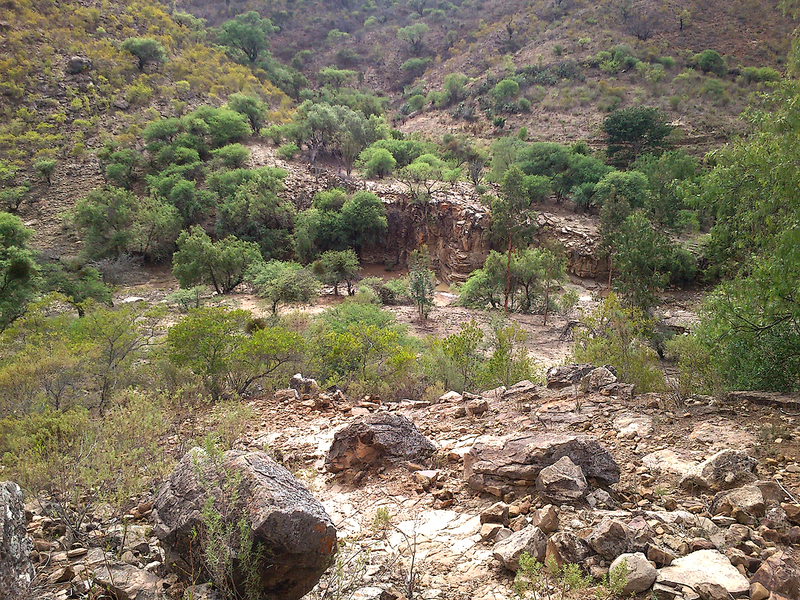 In the Cruz Loma community, C. Veizaga witnessed the fall of the largest stone (36.3 kg) about 500 m from him. He recovered the stone and in the following day the local Aiquile government (Luiz L. Arnez, Marco Cardona, Franz Navia, William Rodriguez, Jesus Yave) took the stone to the city museum. 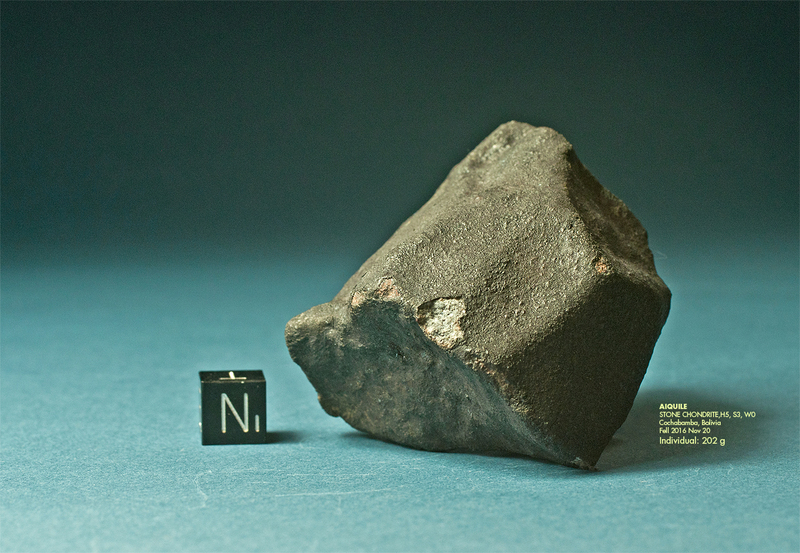 In the Panamá community, Roberto Soto witnessed the fall and recovered two other fragments (565 g, 2.2 kg). SERGEOMIN (Miguel A. Muriel, G. Villca, A. Perez), UMSA (Gonzalo Pereira), Brazil NM collaborators (Andre R. Moutinho, José M. Monzon) and S. Medina found additional fragments in the Panamá community. 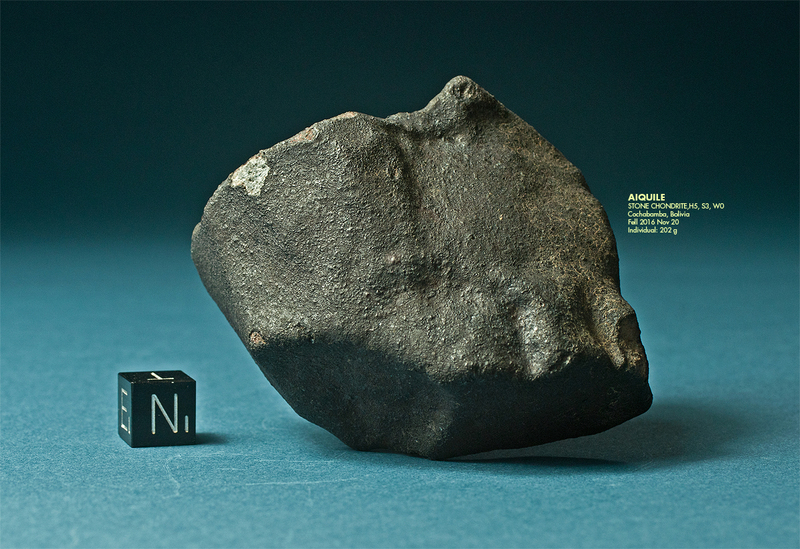 A. Moutinho found a 98 g fragment which was used for classification. 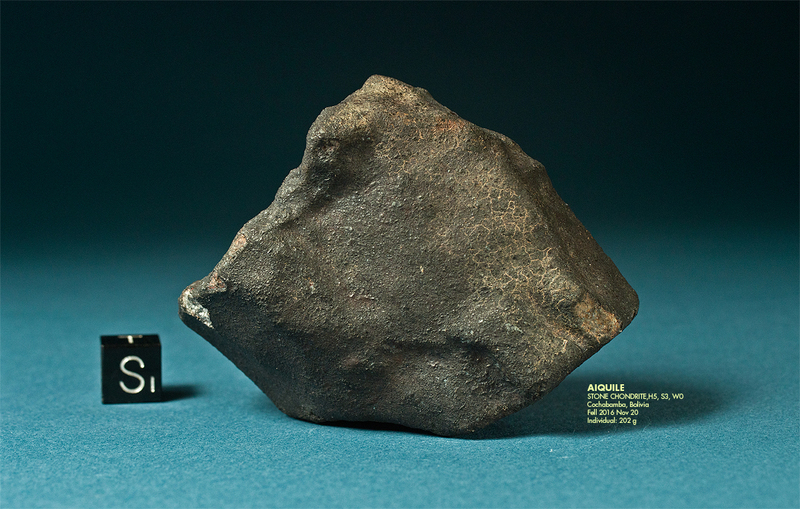 This is a pristine 202 g individual with well preserved impact marks. It was found the day after the fall on a hill slope in the Panamá community (specimen exported before November 29).